Value-added distributor Aptec is showing the breadth of its portfolio at GITEX TECHNOLOGY WEEK. 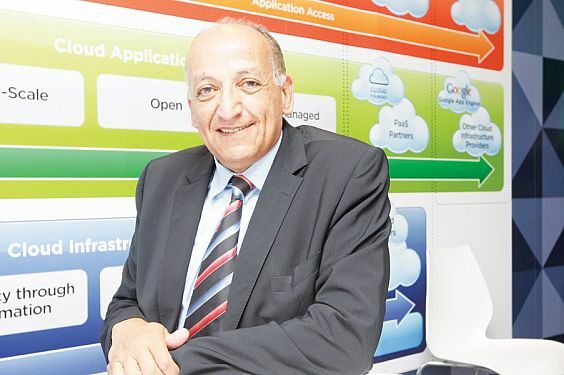 The distributor, which is appearing at GITEX for the 31st time, has shifted its business model to complete value addition, and has developed a range of services to help resellers to access new technologies such as virtualisation and advanced data centres. Dr Ali Baghdadi, CEO and President of Aptec Holdings, says: “We’ve now become a completely value-added solutions provider to the channel; on the stand we are presenting the parts of the complete solutions that we have put together for our resellers as a value-added proposition for their customers.” The distributor is showing its full range of solutions such as virtualisation, security, storage, servers, data centre, business intelligence and high speed networking, as well as highlighting its training capabilities. Aptec has rolled out training centres in many countries across the region, including the UAE, Saudi, Egypt, Lebanon, and Pakistan, and aims to help reseller partners to increase their skills, and in turn, their profitability. Aptec is also increasing its focus on virtualisation, working towards the provision of cloud computing, including the signing of Veeam, a provider of VMware data protection, disaster recovery and management solutions for virtual data centre environments.